MS Paint "isn't going anywhere"
Microsoft published a support article recently that discussed features that were to be "removed or deprecated" in Windows 10 Fall Creators Update. On the rather long list of programs, many of which you might never have heard of or care about, was dear old Microsoft Paint. Paint was in particular marked for becoming 'depreciated' which Microsoft defines as "not in active development and might be removed in future releases". The reason was simple - much if not all its legacy functionality has been integrated into Paint 3D. However, there was quite a strong reaction by a host of tech sites, and on social media, where people gathered to be nostalgic about MS Paint. As a reminder, MS Paint has been a staple of Windows installations since 1985. Microsoft obviously picked up on the sentiments being shown and yesterday evening published a blog post entitled MS Paint is here to stay. The 32 year old app won't just be cast asunder, wrote Megan Saunders, GM of 3D for Everyone Initiative, Windows Experiences. Clearing up any confusion, Saunders wrote that "MS Paint is here to stay, it will just have a new home soon, in the Windows Store where it will be available for free." She went on to espouse the attractiveness of Paint 3D, which is free in Windows 10 Creators Update and newer. 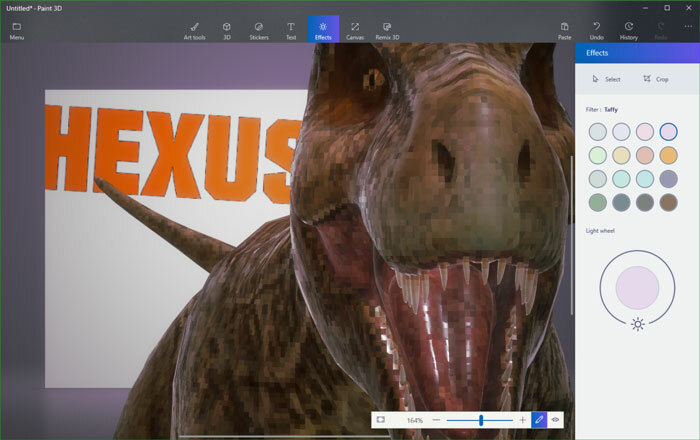 "In addition to the new 3D capabilities, many of the MS Paint features people know and love like photo editing, line and curve tools, and 2D creation are in Paint 3D," Saunders informed us. The 'here to stay' statement will be assuring for some stalwarts but we haven't been told when MS Paint will become available in the Windows Store - it's likely to coincide with the Fall update. I don't have any nostalgia at all for the old MS Paint, do any HEXUS readers? or not, no need to go backwards. Great! Now I don't have to learn a new program for all my dank memes. Replacing more featured applications with Metro style more limited versions was a step backwards IMHO. Especially when they didn't actually save space and remove Windows Photo Viewer, they just disabled it to push people to embrace Metro and the Windows Store. I'll be fine with the new calculator when it focuses on the input box when it starts. I'm used to jabbing the shortcut key on my keyboard, and then start typing numbers. Now I've got to fiddle with focus. Feels like Linux.